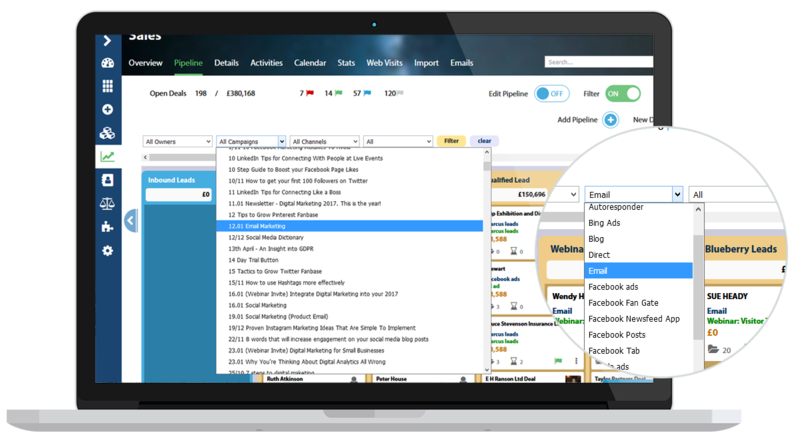 Everything you need, in one place, to track and measure your sales activities from Prospect to Won. 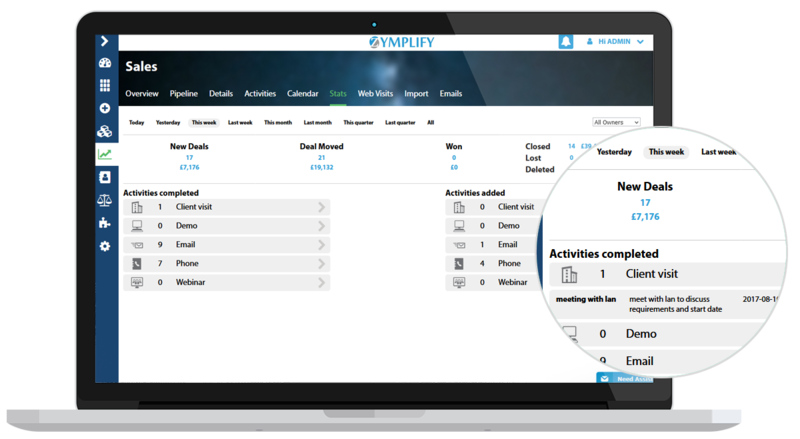 All your active leads in one intuitive interface. Get instant insight into the number, status and value of leads at each stage of your sales process. Stay on top of sales activities, what's scheduled and what's overdue. Customise pipeline design according to your business needs. 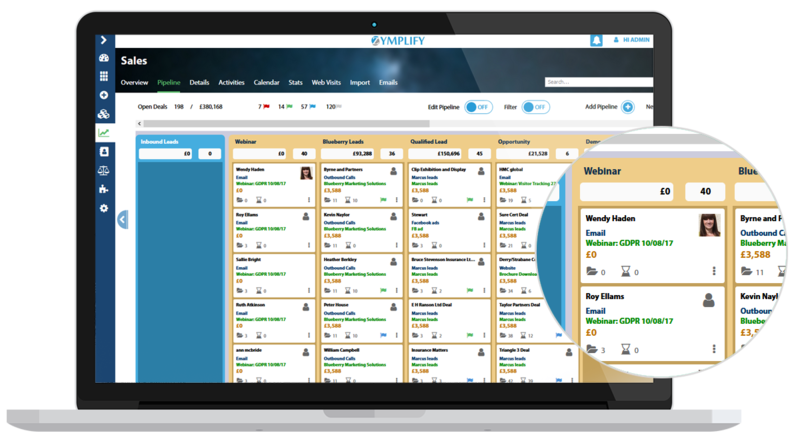 Instantly see each lead's name, acquisition channel, value, date of last sales action and whether a follow-up action is scheduled. 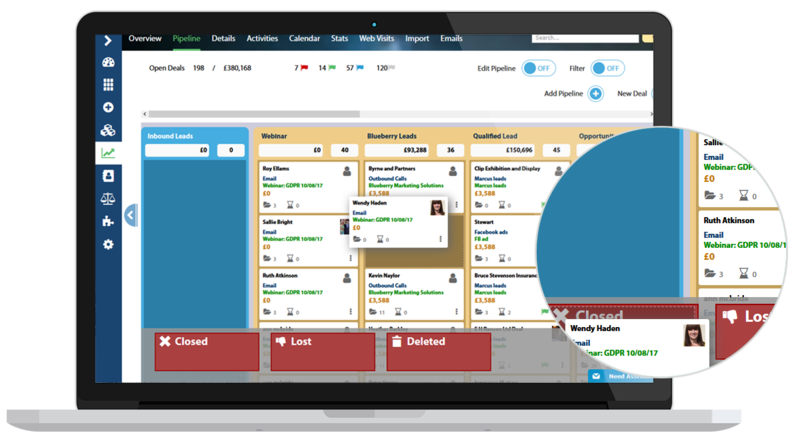 Drag & drop across the phases of your sales pipeline. Click through to see lead contact details and prior and scheduled sales activities with your sales lead. See the wood for the trees. Bring clarity with view filters by campaign, channel and salesperson. 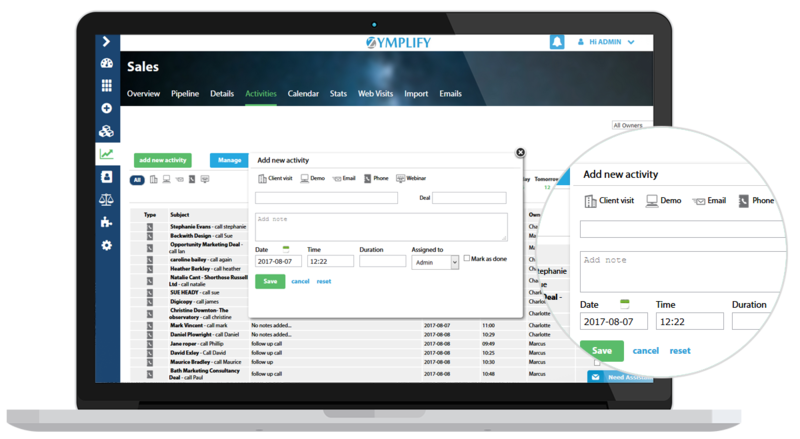 Your dashboard gives a snapshot view of sales closed on a daily basis over the preceding month. With a click, see the same data by marketing channel or by campaign.